On WEDNESDAY, JUNE 20, 2018, STUNNA closes out the season of Spring and presents a special edition of 'THE GREENROOM' on BASSDRIVE Radio. In this week's installment, we're treated to the impeccable sounds of guest mix artist GREEKBOY. 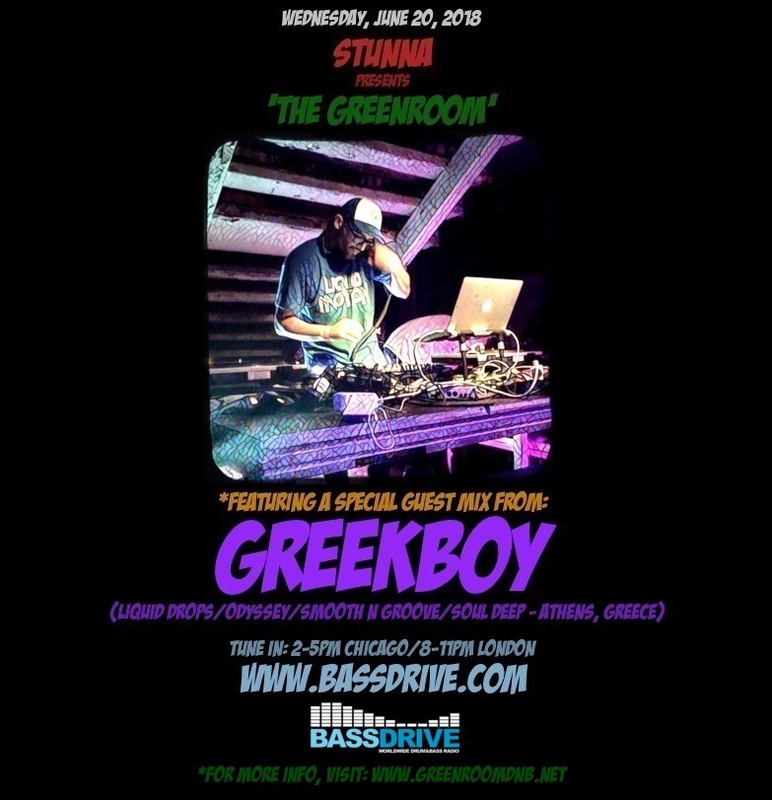 ATHENS, GREECE-based producer and DJ GREEKBOY has been an extremely busy man in high demand recently. With a plethora DRUM+BASS releases on revered labels such as SOUL DEEP RECORDINGS, SKELETON RECORDINGS, STEPPING FORWARD RECORDS, SHEER VELOCITY, CELSIUS, ROTATION, OMNI MUSIC, FLEX, CADENCE, LIQUID FLAVOURS, SOUL REBEL, DNBB, LIQUID BRILLIANTS, SOUL SOURCE and EXILED, GREEKBOY has recently released his stellar 'MY HEAVEN' album on the ODYSSEY RECORDINGS imprint and has numerous projects in the pipeline (including his sophomore album project for the burgeoning SMOOTH N GROOVE RECORDS label). Ever faithful to the sounds of JUNGLE's past, GREEKBOY's talents in the studio domain expertly combine classic elements with today's cutting edge techniques and production values. 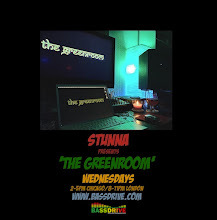 Join us this session as GREEKBOY presents a guest set including a bevy of his current productions, collaborations and forthcoming material exclusively for this broadcast of 'THE GREENROOM.' Tune in! !